When designers “phone it in”. Love this guy (even if the camera doesn’t). I asked dido if they ate the pork chops and he said no, but I suspect otherwise. 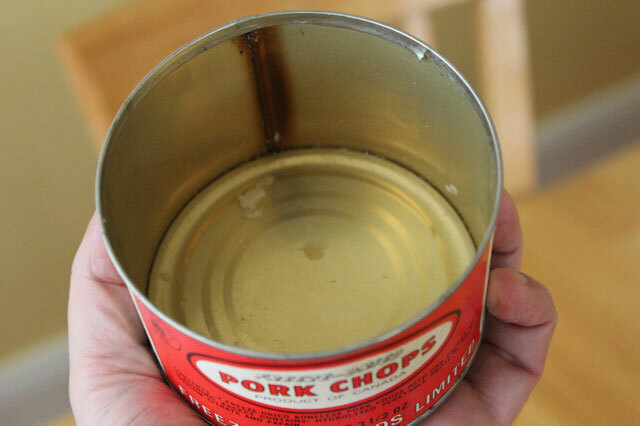 In the fridge I found one and a half dessicated pork chops on a plate with some leftovers. (the can says there were four). 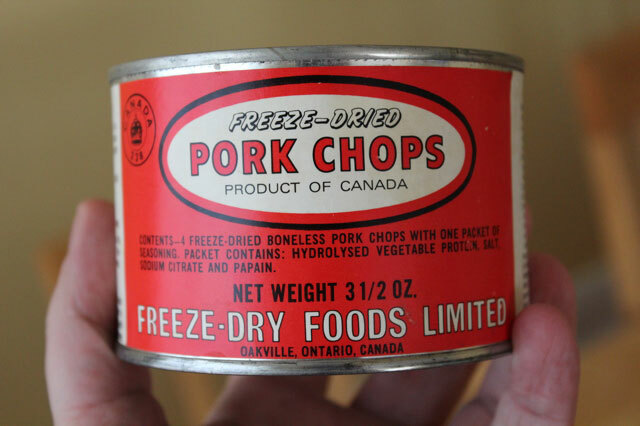 Now I don’t know how old these pork chops are, but there are no metric weights on the label, just ounces. 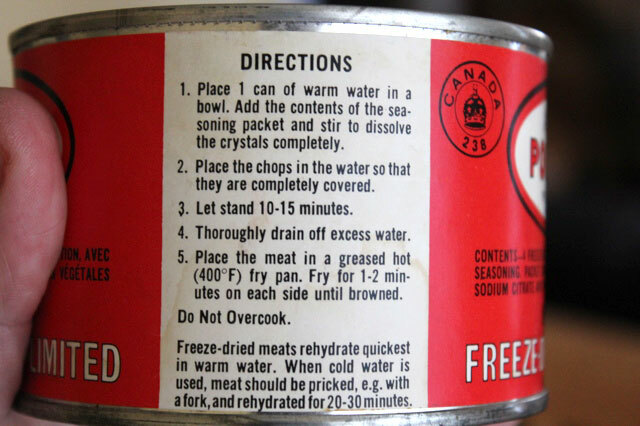 Canada introduced metric product labeling by the mid-70’s, so that makes them 30+ years old, but they could be as much as 50 years old, because Freeze-Dry Foods Limited of Oakville, Ontario (which is still around) was established in 1963. 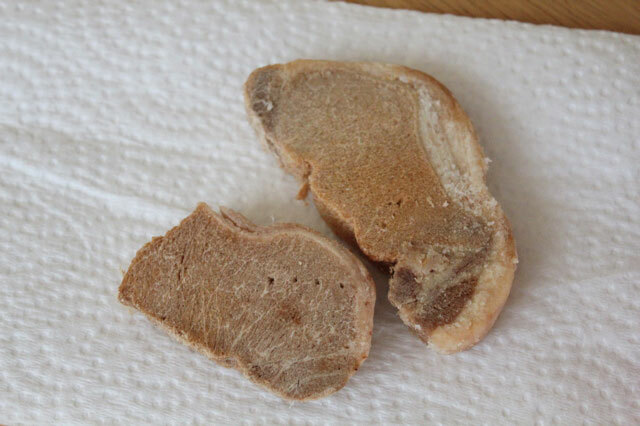 According to the internet, freeze dried food can keep 25-30 years unopened. In any case, it’s been two days since they did or didn’t eat it, and baba and dido are still alive. No word on how the chops tasted. They don’t appear to have been reconstituted, so I’m guessing a little dry and crumbly. I have to say, for food that’s older than you, my dear, they don’t look totally unappetizing. I never thought I’d find a Jandek CD at Value Village (or anywhere, really).